It just means Shopventory is keeping track of the quantity of that product. For example, if I sell hats, having tracking turned on will tell me how many hats are currently on the shelf at any given time. 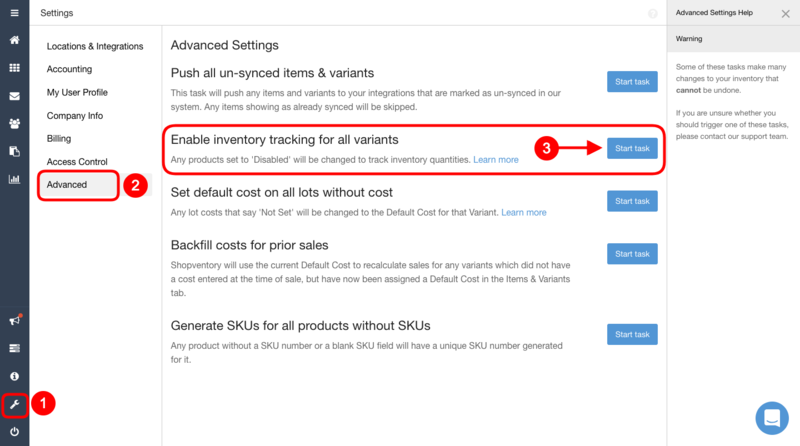 If tracking is disabled for a Product, that Product will not appear on your inventory report. When should it be turned off? Usually, only in the cases of Services & Non-Inventory Products. For example, if I sell haircuts, I don't want to track the quantity of "haircuts" I have. How do I turn it ON for ALL my Products? 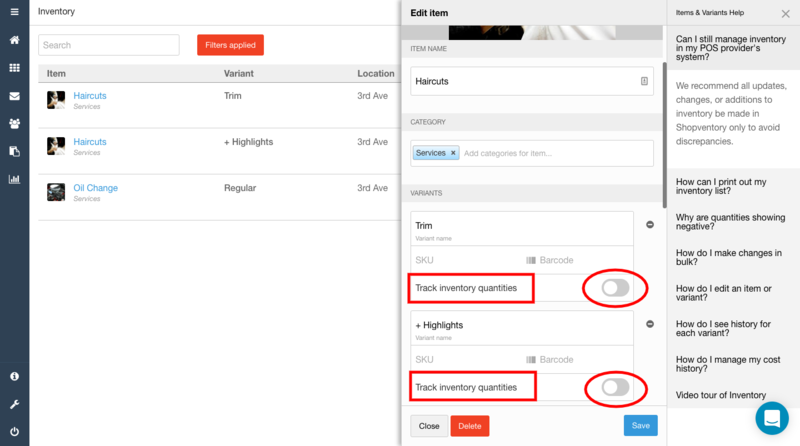 Simple: Just turn off inventory tracking for those products in the Edit Product Panel. Just click on the Product Name to view the Edit Product panel. Please let us know if you have any questions. We're here to help.